This article was first published in the Laurel Historical Society‘s latest newsletter. Trap Pond has long been a favorite destination in the Laurel area. With a large campground, shady picnic areas, a network of trails, boating, public hunting areas, and—in simpler times when water quality wasn’t a concern—swimming areas, our local state park has served as a tranquil oasis of sorts, offering generations of families a respite from an increasingly busy world, and a taste of nature. Yet Trap Pond wasn’t always associated with recreation. It wasn’t always named Trap Pond. In fact, it wasn’t always a pond. The early history of the site is, like its waters, a bit murky, but scattered clues in old records tell its story. When English surveyors began laying out tracts of land for aspiring tobacco planters along the branches of Broad Creek in the late 1600s and early 1700s, the area was part of a wild frontier. The land was swampy, black bears roamed the woods, and Nanticoke Indians outnumbered the white newcomers. 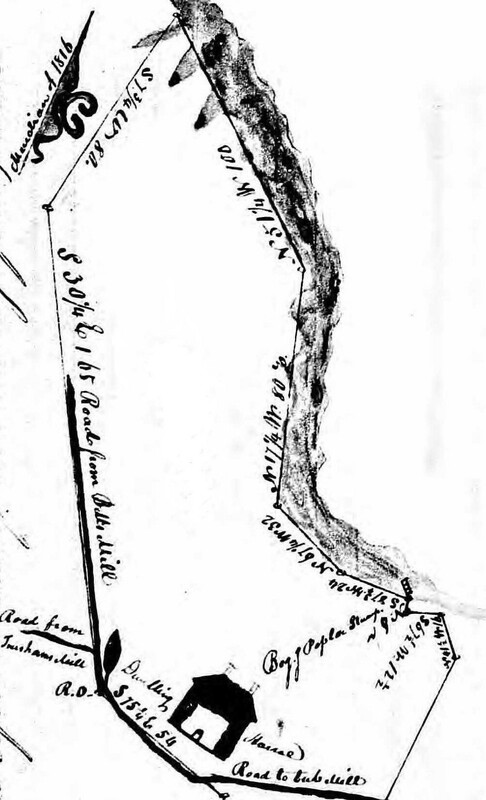 In 1730, a 100-acre tract named Forest Chance was surveyed on the southwest side of what is now Trap Pond, but the site was simply described as “the main branch of broad creek.” It’s unclear who dammed the creek near the northern boundary of Forest Chance or exactly when they did it (possibly a Collins or Stevens in the mid-1700s), but by 1791, Newbold Vinson, Sr., owned a sawmill and a gristmill there. The mills stayed in the Vinson family for the next couple of decades, and during that time the pond that powered them was known as Vinson’s Pond. However, by 1816, the mills were owned by Joseph Betts, and the pond was named after him. In the following years, deeds referred to the millpond by both names. In 1836, for example, William Hitch purchased a share of “a certain saw mill and grist mill called and known by the name of the Vinson or Betts mill” from John Betts. 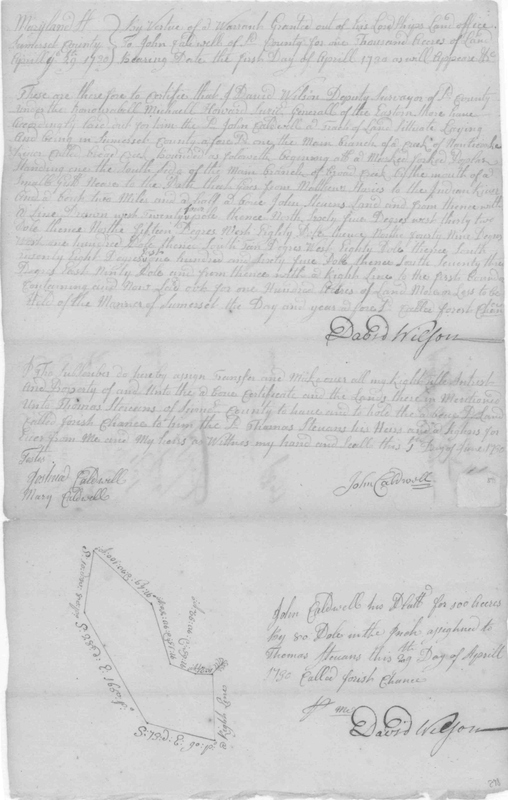 However, just four years later, Hitch and Philip Short sold Ebenezer Gray “one third part of…a certain saw and grist mill house & lot adjoining said mills known by the name of Vinsons Mills (now called the Trap Mills)…” The origin of this new name — which, as we know, stuck — is uncertain, and has inspired creative yet unlikely theories involving a trapiche distillery, a tract of land named Turkey Trap (which was actually located elsewhere), or even French Trappist monks, but one possible explanation is that the pond became known as a trap because it collected unwanted runoff from an extensive network of drainage ditches. Now that the mills were co-owned by multiple investors, naming them after a particular individual or family may have been impractical. Henceforth they were known as the Trap Mills. In his History of Delaware, published in 1888, J. Thomas Scharf (or an anonymous contributor) reported that the sawmill was no longer used, but the gristmill was owned and operated by M. G. Truitt. The gristmill continued to operate until 1920. It should be noted that during this era, Trap Pond was an industrial site, valued for its milling power, location, and resources rather than its beauty. In the early years, the pond had been full of trees, which were eventually harvested along with most of the surrounding timber, leaving behind acres of unsightly, slowly rotting stumps. Such was the scene in 1933, when a devastating flood washed out the old mill dam. Subsequently the federal government bought the pond and surrounding land, and set about creating a recreation area. 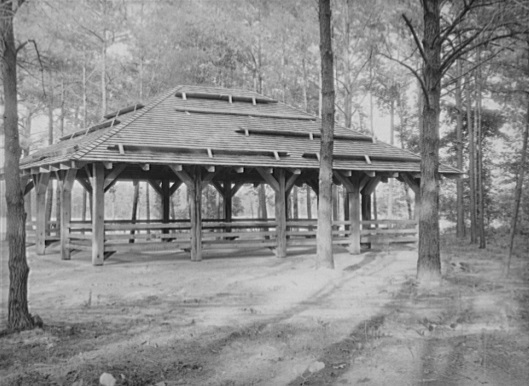 Between 1936 and 1938, the Civilian Conservation Corps removed the old stumps, rebuild the dam, created small beaches, and built bath houses, park benches, and pavilions, which attracted thousands of visitors in the following years. 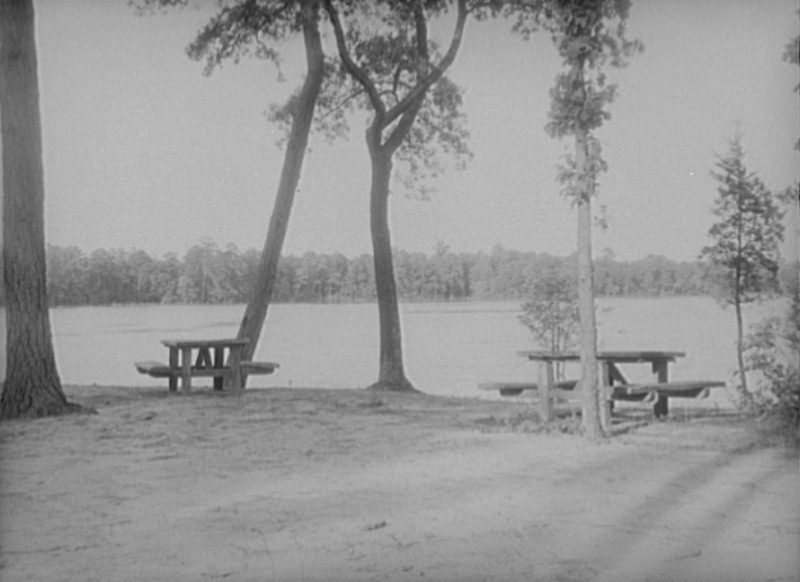 In 1951, the State of Delaware acquired the pond from the federal government and established the state’s first active state park. Today Trap Pond State Park is larger than ever, consisting of 3,653 acres, including nearby Trussum Pond (another early millpond), the historic Bethesda M. E. Church and cemetery, smaller cemeteries created by the Wingate and Warrington families, and old public roads that survive as trails, all of which have their own stories and are important parts of the history of our community.